Photo: Slow down and appreciate the details. Just south of Ko Chang but a world away from its mainstream tourism lies Ko Mak, a community-oriented island with agricultural landscapes backing long beaches and several satellite isles for day trips. We wish more Thai islands would be like Mak. Tracing their roots to a Siam government official of Chinese descent who purchased the whole island in the late 19th century, native islanders resisted the urge to sell off land to outside developers back when Ko Chang really caught on as a tourist destination in the 1990s and 2000s. Their patience resulted in a balance between low-level tourism and more traditional ways of life. Contrasting the mountainous jungle of Ko Chang and Ko Kut, Mak’s 15-square-kilometre interior mostly consists of rubber and coconut groves between pockets of tourism-related development. With clear water (when calm) lapping up to soft sand that strikes shades of ocher, pink and amber, the beaches are good, although not as attractive as those found on Ko Kut. Nearly invisible sandflies can be a real nuisance at certain times and places on Mak—check with locals before you sprawl out for a nap. We do think Mak beats Kut when it comes to activities and ease of getting around, and the overall vibe seems friendlier to us. Visitors in need of a break from the water could try out Thai recipes at Smile Koh Mak Cooking School; learn to gracefully pummel people at Hong Thong Muay Thai Camp; ease into the flow at Island Yoga; or join a rousing round at Koh Mak Disc Golf by Pom. Sealed roads with few hills make Mak a great place for cycling as well. Snorkelers can cruise out to Ko Rang, a national park island boasting powdery white-sand shores and lots of fish in turquoise water with great visibility. Other day trip options include the tiny isles of Ko Rayang and Ko Kham, both reachable from Mak by kayak or public boat. You could also check out Ko Kradat, a curious island that’s home to a few farmers and a herd of deer roaming through fields draped in wildflowers, fruit trees and birdlife. Mak’s location at the centre of the Ko Chang archipelago makes it a good base for divers and you’ll find a small group of instructors ready to assist at Koh Mak Divers and BB Divers. Along with Ko Rang, dive sites include a couple of shipwrecks and reefs found off Mak’s undeveloped west coast. Conditions are not world class but we think the laid-back vibes make Mak a fine place for fun dives, or for picking up your certification. The roughly 40 places to stay range from small to smaller and you’ll find no ATMs, 7-elevens or girlie bars. Families will appreciate the shallow water off most beaches, and 24-hour electricity keeps things comfy island wide. A clutch of eateries and bars join the intimate resort settings to make it easy for solo travellers to meet others. In dry season, perennial long stayers join a handful of expats and less than a thousand permanent Thai residents. While exploring Ko Mak you’ll see a bunch of wacky concrete statues depicting creatures and humans with disproportionately long arms and protruding rumps. Lending the island some extra character, these are the work of a local rubber worker and visitors can wander beyond Ao Suan Yai to check out his museum, of sorts, dubbed The Kingdom of Somchai’s Affection. High season on Ko Mak runs from November through March and many resorts fill up from late December well into February—this is one island where pre-booking pays off. Expect reduced room rates, closed restaurants and less frequent ferries if visiting in the rainy season from May through October. The Trash Heroes work to minimise tidal garbage on Ko Mak’s beaches, and you can help. Part of a growing region-wide non-profit first born on Ko Lipe in southern Thailand, the yellow-shirted crew invites all to join a beach-cleaning session held every Saturday at 10:00, starting with a meet up at Coco Bar behind eastern Ao Kao. This is also a chance to meet others while combating the garbage problem that blights the entire Gulf of Thailand and beyond. As the third largest island in the Ko Chang archipelago, Ko Mak (sometimes spelt Maak) lies some 15 kilometres south of Ko Chang itself and about the same distance north of Ko Kut. This position makes it an easy stop on an island-hopping trip that could also include Ko Wai. If coming from the mainland by public transport you’ll most likely stop in Trat town for a transfer. The island’s three ferry piers are located at Ao Nid to the east, Ao Suan Yai in the north and the centre of Ao Kao on the south coast—and these three areas host most of the resorts, restaurants and other services as well. It’s 1.5 kilometres from central Ao Suan Yai to central Ao Kao, with a hill in between making it a sweaty walk or bike ride. If you need a lift, songthaews await arriving passengers at all of the piers. The island is shaped like a four-pointed star with most of the beaches found on the western half. Sealed lanes connect the three main areas mentioned above, while other roads cut a few kilometres east to Laem Son and other spots in the sparsely developed east. Central Ao Kao has the largest number of places to stay, eat and shop, but it’s not exactly bustling. 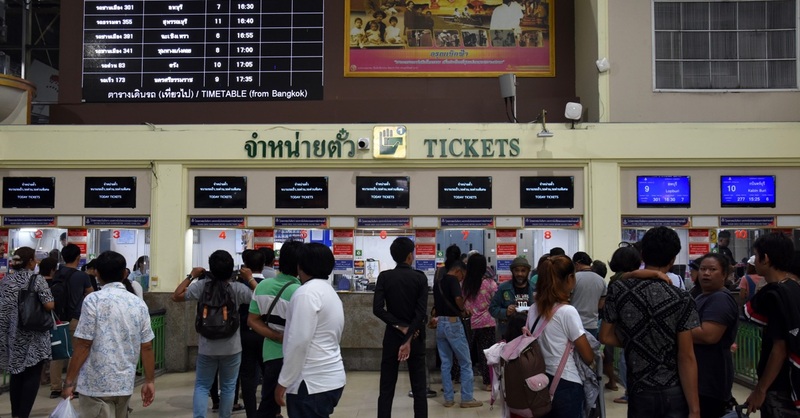 At time of writing there are no banks or ATMs on Ko Mak; try the travel offices at Koh Mak Resort or Makathanee Resort for currency exchange and cash advances on credit cards. WiFi is free at most resorts and cafes, and our cell signal came in steady throughout the island. A small public health clinic is found down a side lane that comes up on the left next to the school on the way into Ao Nid, though any serious injury will require a trip to the hospitals found in Trat or perhaps Ko Chang. A tourist police office sits east of Ao Nid on the road to Mak’s eastern reaches, and a donation-funded rescue crew responds to infrequent accidents.  Please sign up as a Travelfish member to download the Ko Mak guide PDF (17.1 MB, 65 pages). Membership costs just A$35 per year (less than A$1 per week) and gives you access to over 250 PDF guides. 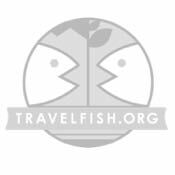 Use the above map to find specific destinations in and around Ko Mak which are listed on Travelfish. Bed icons indicate a guesthouse, hostel or hotel, the knife and fork is an eatery or bar and the four-way circular thingy marks sights, attractions and other points of interest. Click on any icon for a short pop-up and a direct link to the page for that spot. If you are in the area, use the teardrop icon near the top left to show your position on the map (you'll need to allow position sharing for this last feature to work).